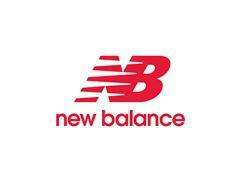 ~~BOSTON, MA – Spring 2016 –Boston-based New Balance will update the award winning 1500, with the addition of the 1500v2. Adopted by Team NB as the go-to shoe for tempo runs to 26.2, the 1500v2 continues to perform with the lightweight support and responsive ride athletes crave. The shoe will be available for men and women in January 2016 with a suggested retail price of $109.95. A refreshed upper reinvigorates this update, with breathable meshes and soft lining materials offering a barefoot friendly construction. A bootie construction around the midfoot creates an arch hugging wrap while carefully placed overlays in the forefoot provide a supportive, but not obtrusive, fit. Underfoot, runners will enjoy a familiar bottom unit built for lightweight support, featuring REVlite for a resilient ride and a two-density carbon rubber outsole for durability. T-Beam is paired with a medial post for reliable structure. With a 6mm drop , the men’s size 9.5 weighs in at 7.9oz and the women’s size 8 weighs 6.7oz. The New Balance 1500v2 engineered on the VL-6 last continues to showcase visions of innovation and design with performance as first class. A blown rubber outsole and FantomFit upper combined with a REVlite midsole make for a stable, versatile shoe, ready to take on anything. This light stability racing flat brings the right amount of protection with superior performance design allowing runners to train in this shoe and continue through to the finish line.